In the first 6 months of life, babies depend on breastmilk (or infant formula) as their only source of nourishment. Breastfeeding provides a range of important benefits for both mother and baby. The baby should be held in a semi-upright position when being fed. It is unsafe to feed babies when they are in a lying down position. Babies who are prop fed or fed lying down are at a higher risk of choking and developing middle ear infections. Benefits for mother • Breastmilk is an inexpensive, easy, convenient and fully transportable food for baby. • Breastmilk is pre-warmed, ready-to-serve and safe. • Helps mother’s body return to its pre-pregnant state more quickly. • Reduces mother’s risk of pre-menopausal breast and ovarian cancer. • Protects against rheumatoid arthritis. • Reduces the risk of type 2 diabetes if breastfeeding is prolonged. Benefits for baby • Helps baby develop a strong immune system and provides antibodies which give resistance to a number of infectious diseases. • Helps reduce the risk of allergies. • Provides perfectly-balanced nutrition which contributes to baby’s optimal growth, eyesight and brain development. • Supports optimal development of baby’s jaw and mouth, which is essential for speech development. • Easy for baby to digest and can prevent gastrointestinal illnesses. • Provides baby with a range of tastes and flavours, which come from mother’s varied food intake. This early taste exposure may help children accept a greater range of food as they grow older. • Reduces the likelihood of baby becoming an overweight child/adolescent/adult in later years. Introduce blended, soft food first and then progress to a broader variety of food textures. 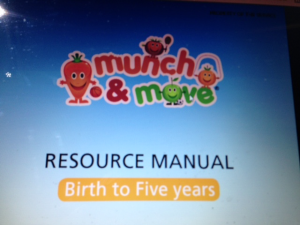 Gradually change the texture of food between 6 and 12 months of age to help babies develop their eating skills. By about 8 months of age, most babies will be able to manage mashed and minced foods with soft lumps and finger foods that require biting and munching. Transition from blended food to soft lumps, minced, coarsely mashed, finely chopped, grated and shredded textures, including finger foods. Encourage infants to feed themselves. Continue to offer a variety of foods as above, ensuring the texture changes so that infants are encouraged to bite, munch and chew foods • Encourage independent feeding using finger foods. Food intolerances are reactions to certain food chemicals found both naturally in foods (such as salicylates, amines and glutamates) or added (such as artificial colours, flavours and preservatives). Food intolerances are more difficult to diagnose and generally less severe than allergic reactions. In sensitive children, reactions can develop over time and depend on the amount and frequency of the number of different foods in a child’s diet. In young children, signs of food intolerance may include: • skin rashes • blocked nose • feeling sick/upset stomach • headaches • irritability/behavioural changes • tiredness/sleep disturbances • loose stools. Baby’s kidneys and digestive system have matured enough to cope with food other than breastmilk (or infant formula). • Baby has improved head and neck control and can now hold their head in the midline, which enables food to be easily and safely swallowed. • Baby’s feeding skills have progressed from sucking to biting and early munching, with the disappearance of the ‘tongue-thrust’ reflex. When this reflex is still strong, baby uses his tongue to push out anything that is in his mouth. When this reflex disappears, the tongue can now move food to the back of the mouth so it can be swallowed. • Baby has increased their energy and nutritional needs, which will no longer be satisfied by breastmilk (or infant formula) alone. • Baby’s stores of iron and zinc (present from birth) are almost depleted by 6 months of age. Delaying the introduction of solids increases the risk of iron deficiency anaemia. • Baby begins to show a greater awareness and interest in food. Please note: • Honey may contain bacterial spores that can cause infant botulism if given to babies under 12 months of age. Do not use honey as an ingredient or offer as a food for infants under 12 months. • If the service has a ‘nut-free’ or ‘nut aware’ policy then peanut butter must not be provided to any child. Being ‘nut-aware’ in early childhood education and care services is not mandatory, however due to the serious nature of nut allergies such a policy is advisable if any child attending the service has a nut allergy. From 12 months of age, all toddlers should be offered all drinks, including milk, in a cup. • Serve water and milk as the drinks of preference – avoid giving young children acidic and sugary drinks such as fruit juice (even no added sugar juice), cordial and soft drink as they contribute to tooth decay. • Encourage children to rinse their mouths with water after meals. 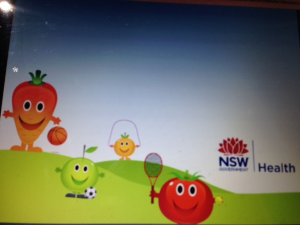 • Use early childhood rhymes to promote children’s oral health, eg ‘The Toothbrush Song’. • Provide information to families from a reputable source about daily dental care for young children to help set them up with good, lifelong healthy habits. Hello. Many thanks Excellent article.